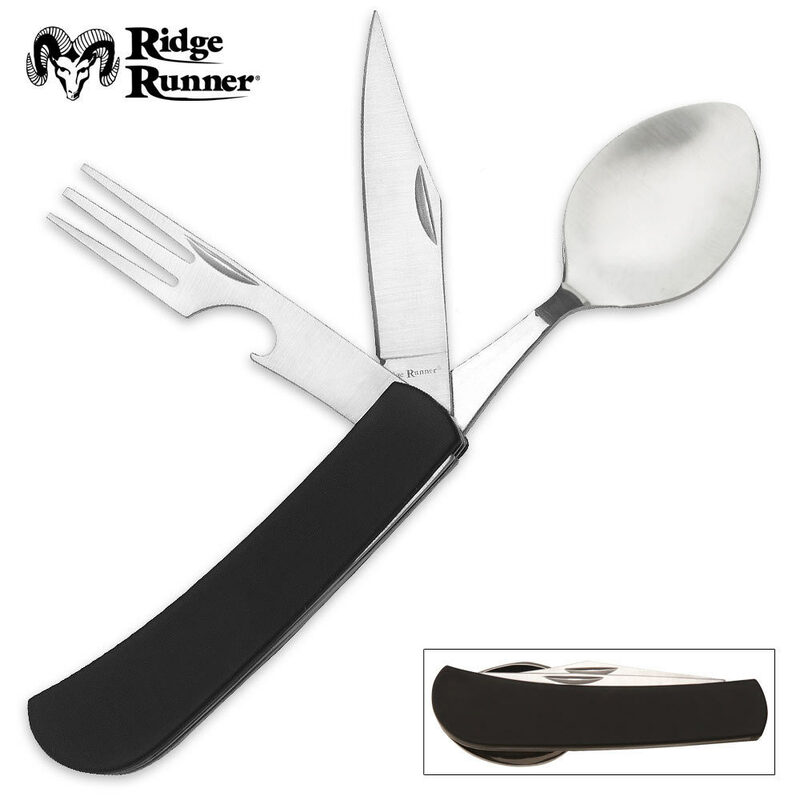 Ridge Runner Hobo Tool (Knife, can opener, fork, spoon) | BUDK.com - Knives & Swords At The Lowest Prices! 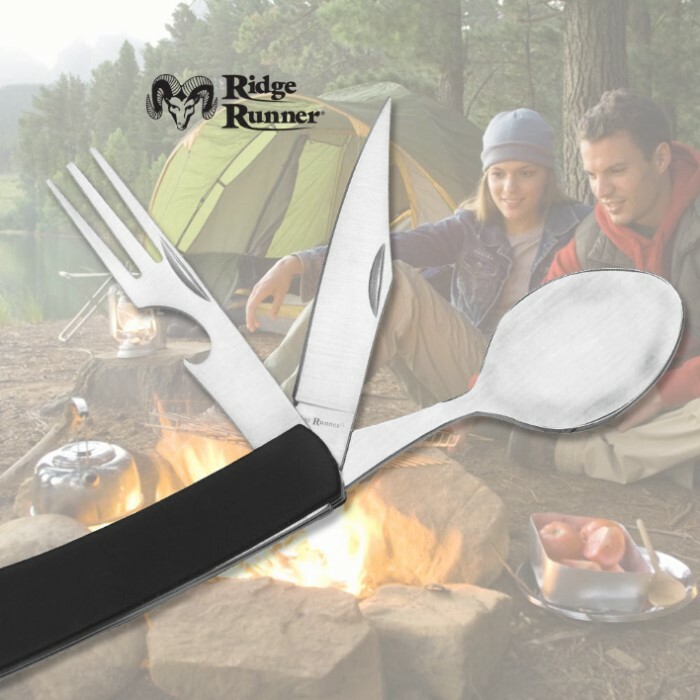 Fork, spoon and knife, what else do you need on a camping trip? Throw this hobo folder in your backpack for your next hike up the trail. When you need some silverware and don't want to be bothered to pack it or buy the cheap plastic kind, this will fit your need. Its not a great fork for balancing pees or twirling spaghetti but it is going to stab what you want in your mouth. The spoon is fully functional and the knife cuts. It is small and fits in your pocket easily. I've had other models of the same concept and this is as good as most. If you needed something better it would come at the expense of bulky and take up most of your hand. This is too convenient. I'm thinking about one for the office. I have used this over at a persons house with great results on lasagna,it takes some adapting and if I return to the Salvation Army will plan on using it there.I bought this on sale and have recommended it before.As always keep it clean & healthy!Seems good for family & friends outdoors at this price round up a couple. Excellent camp tool and much better and more useful than my "spork". A good value, but the tool that is part of the fork is a cap-lifter, useful for imported beer and soft drinks. There are better hobo knives on Bud-K. This knife spoon for combo is awesome. Great value, feels solid and I use it to eat my lunch at work.